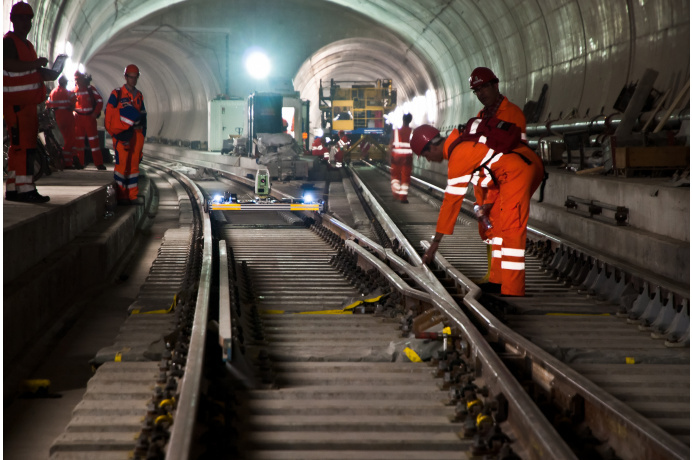 The construction of the 57 km long Gotthard base tunnel crossing the Swiss Alps was a uniquely challenging engineering feat, led by AlpTransit Gotthard AG (ATG). 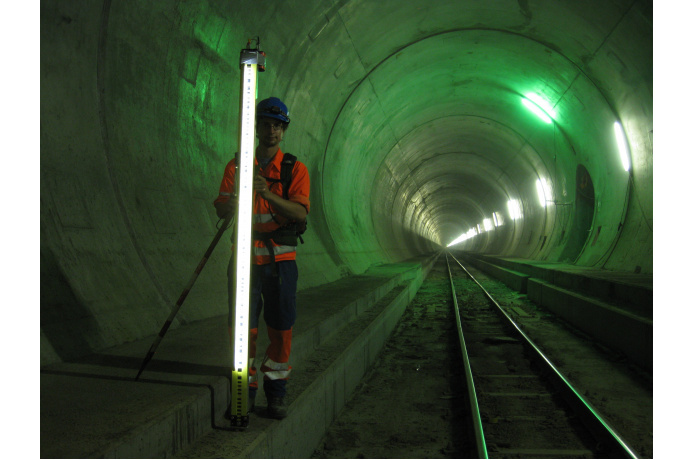 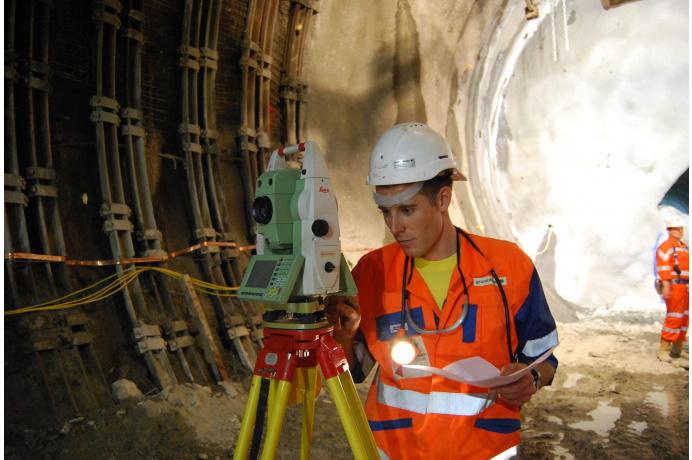 On behalf of ATG, the consortium VI-GBT under BSF Swissphoto leadership was responsible for providing the geodetic reference measurements to ensure precise position and direction information for the tunneling advance. 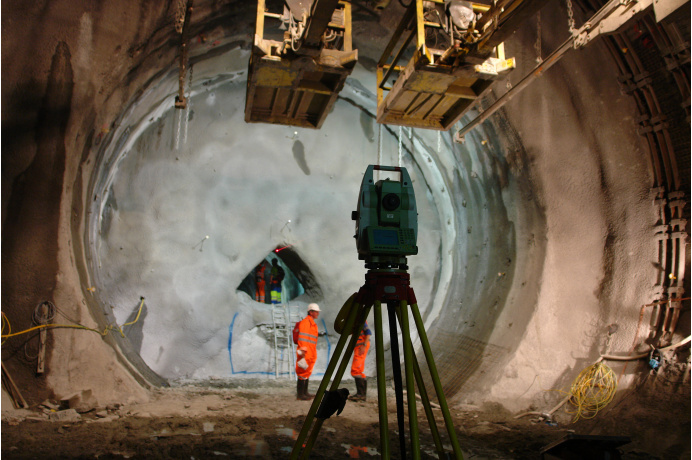 The required maximum error tolerances of no more than 25 cm across the tunnel axis vector and 12.5 cm in elevation were met for each of the for break-throughs. 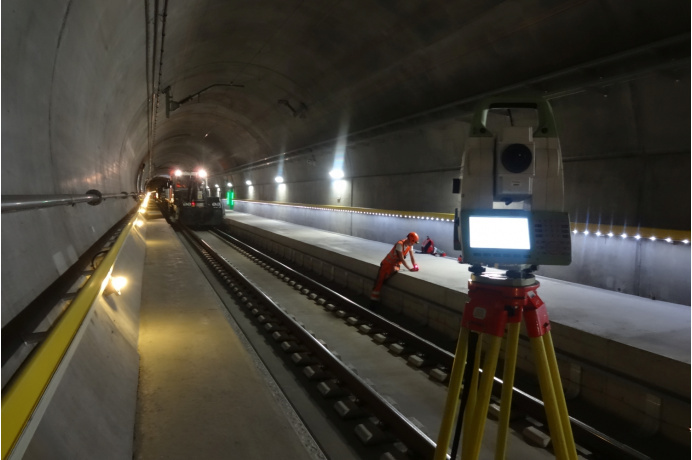 Checks of the final rail track alignment. 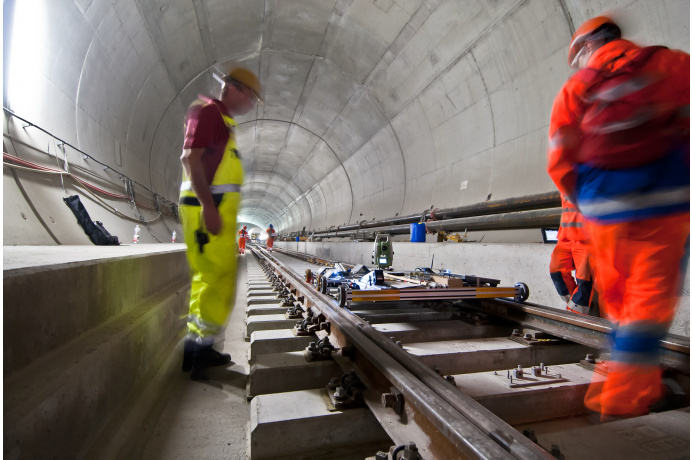 Weshalb sind die „besten“ Koordinaten nicht immer die „richtigen“?